During World War II and the Korean War, America deployed a diverse group of special operations forces, and these units quickly proved themselves adept at hit-and-run raids, gathering intelligence in long-range patrols, rescuing POWs, and living and fighting in hostile environments. 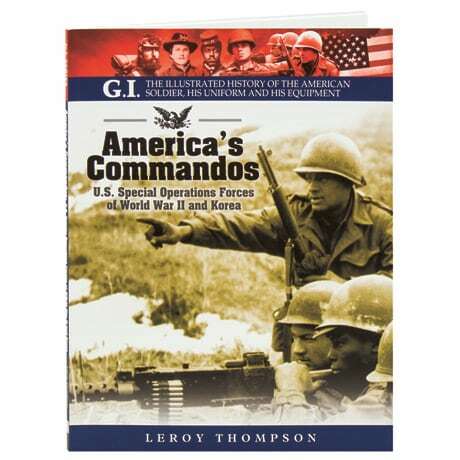 Along with an introductory text and substantial captions by Leroy Thompson, this guide includes more than 100 color and black and white photographs of the men, uniforms, special equipment, and insignia of these elite troops. Among the units covered here are the Marine Raider regiments and Paramarines; Ranger battalions; 'Merill's Marauders'; the Special Service Force; Naval CDUs; and ski and mountain troops.